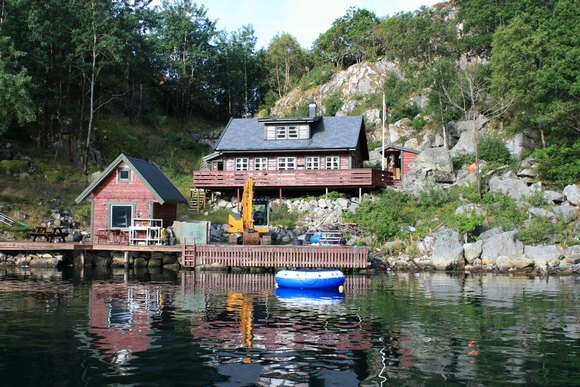 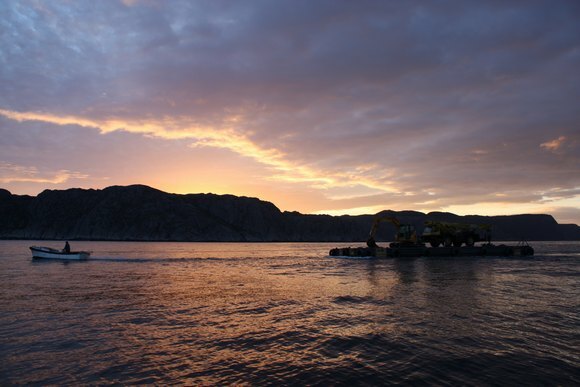 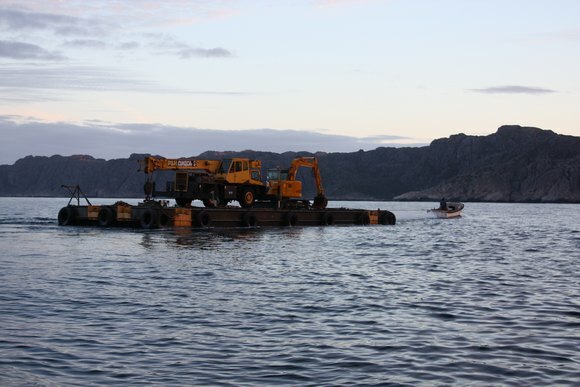 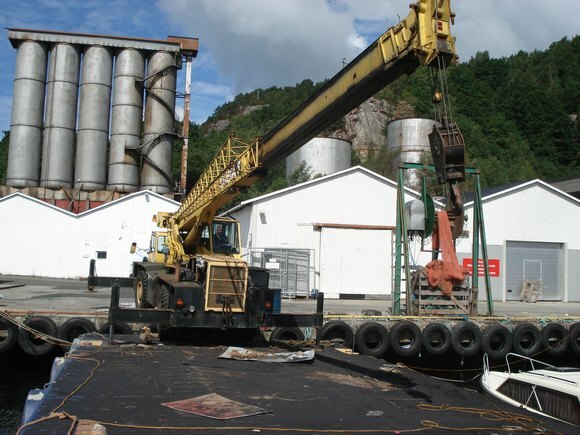 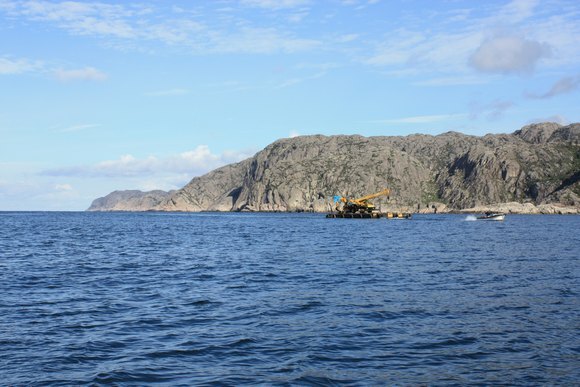 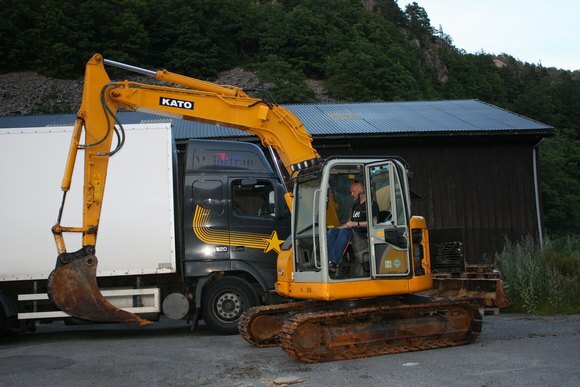 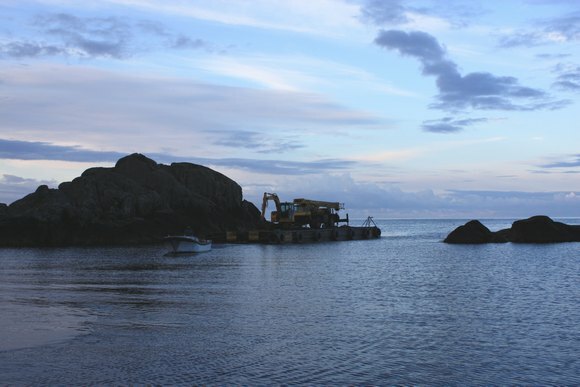 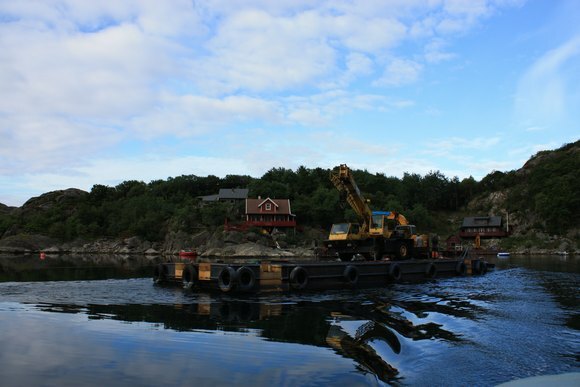 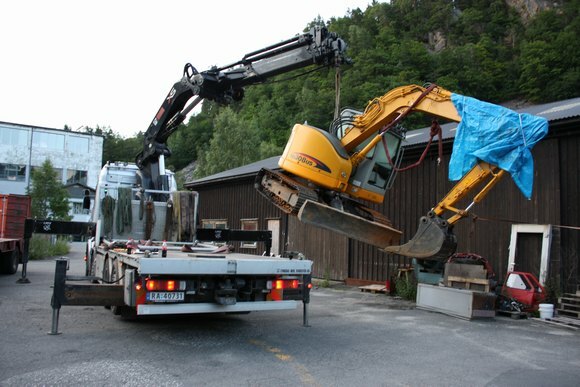 A 8 ton excavator unfortunately ended in the sea inside a lagoon, at Tele on the south-west coast of Norway. 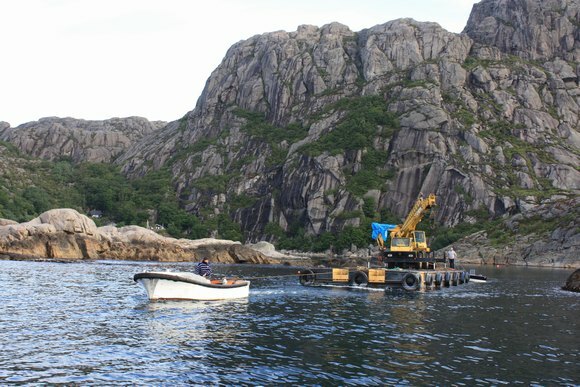 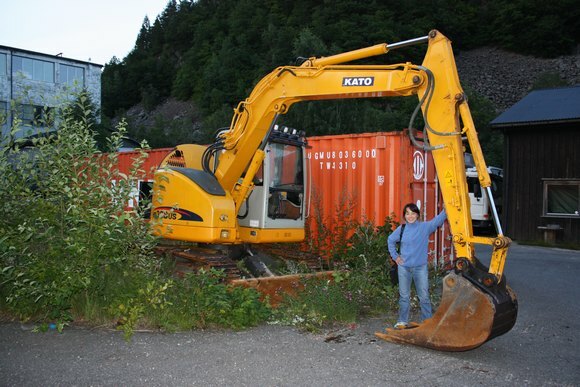 This place is very beautiful, but almost impossible to get at with heavy equipment. 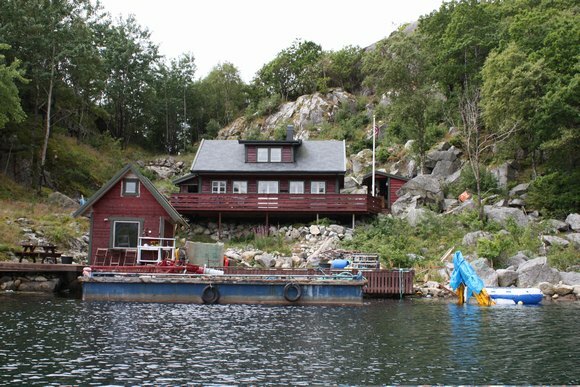 There is only one way to go, and that's by sea. 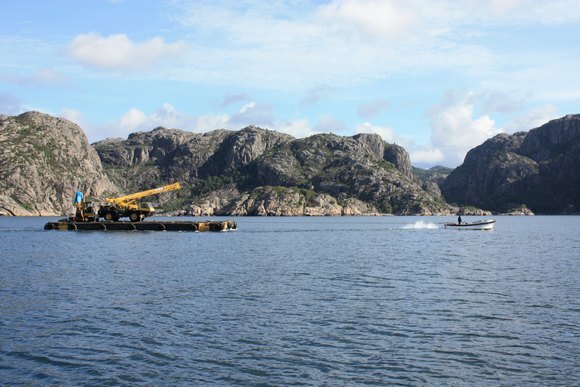 The entrance is narrow and shallow, so no ship or crane-barge may enter. 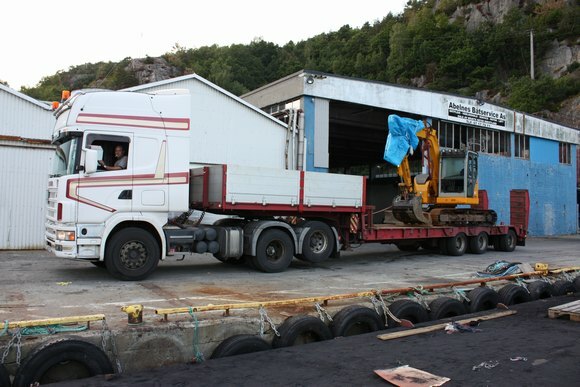 Now I have put my small 18 ton P&H Omega S18 on a little flat-bottomed barge, and are waiting for good weather conditions.